If you want to sell subscriptions or memberships, POWr eCommerce is a great tool. You can create recurring subscriptions for any amount, regularly charged on any timeframe. Best of all, POWr takes 0% of your payments. Only standard PayPal and/or Stripe fees apply. Note: If you're using PayPal, you must have a PayPal Business account to sell subscriptions. To set up subscription payments with POWr eCommerce (or other plugins), open the Pricing menu. Enter a price to be charged per payment. Then set a time frame to determine how often your customers will be charged. You can also set up a trial period, during which the price can be less, or more, than the regular price. If a free trial period is enabled, you will receive a confirmation email from PayPal as soon as someone signs up, even though no payment has been made yet. Note: Discounts, shipping fee, and taxes are applied to each renewal payment the end-user makes. 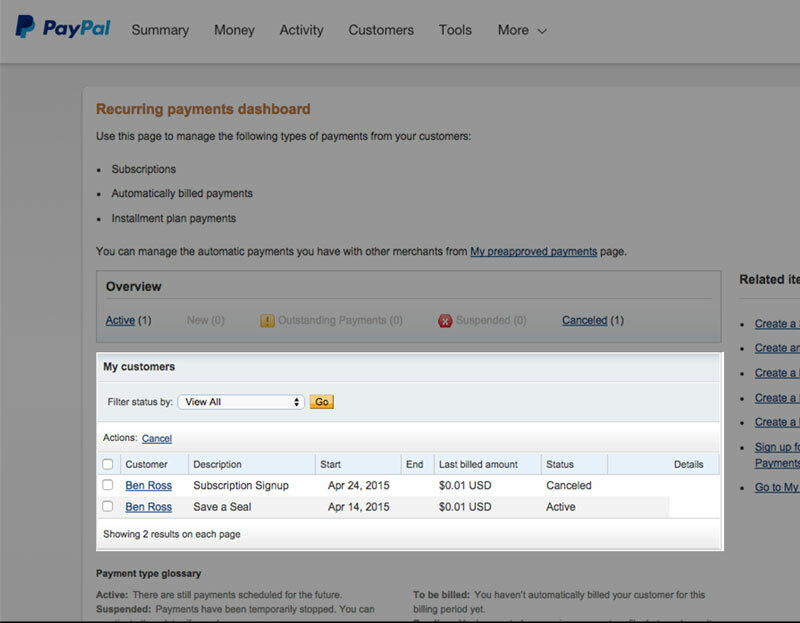 Subscriptions can be cancelled by you or your customers through PayPal. If a billing agreement for a recurring charge was made via Stripe, the end-user does not have a way to cancel themselves. They will need to contact you and request that you cancel their subscription. To cancel a user's subscription, log in to your Stripe Dashboard and go to the Subscriptions tab to manage a user's recurring charges. Please Note: If Stripe payments is enabled, current Trial Lengths are limited to months and year. Hi, Devis ~ I got my app from Weebly, but there are no tabs on the top, including Pricing. Update -- Found it!